Timberland Wages Harassment Campaign Against Union Leader! Workers at a Timberland supplier in the industrial zone Zona Franca Industrial PISANO de Santiago de los Caballeros have been organizing with FEDOTRAZONAS for the last 4 years. 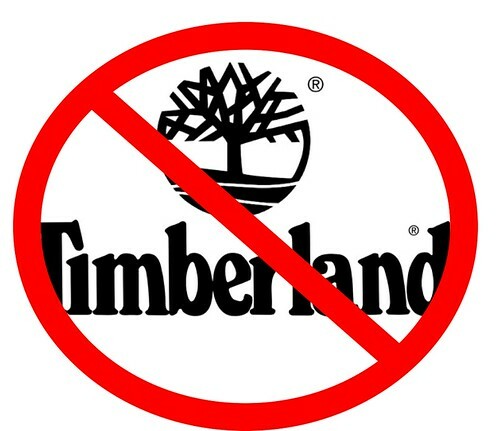 Timberland has carried out a harsh anti-union campaign and harassed the workers through blackmail, threats and attempts to buy them off with empty promises. The company carried out a targeted harassment campaign against the union's General Secretary, Heriberto Antonio Peralta, treating him inhumanely, attempting to turn other workers against him, and refusing to allow him to work overtime to make ends meet. Management specifically told him they would continue such treatment as long as he is a union member. They even attempted to frame him for theft! A specific manager has physically threatened the union leaders on a number of occasions and his behavior is clearly condoned, even encouraged, by the company. There are severe health and safety issues in the factory, many workers have contracted illnesses and one almost lost his leg due to an infection. FEDOTRAZONAS has filed a lawsuit against the company for illegal dismissals of union members but will have to wait until March of 2018 for a ruling.